Tucked in a quiet neighborhood under towering Florida pines sit these unassuming two and three bedroom fully furnished cottage vacation rentals. Many boast views of a large reflective lake showcasing spouting fountains, making Fairways the perfect place for relaxation and getting away from it all. 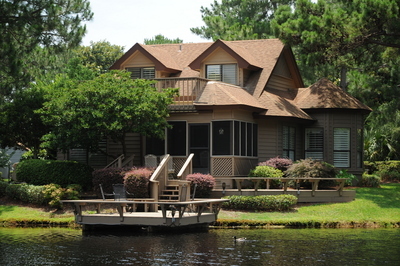 Fairways cottages enjoy continued popularity with both new owners and returning guests, featuring screened porches or docks to enjoy the outdoors. Fairways at Sandestin offers two and three bedroom residences and is rental capable.